When we heard Bengaluru-based Arbor Brewing Company had landed in Goa, we were excited. 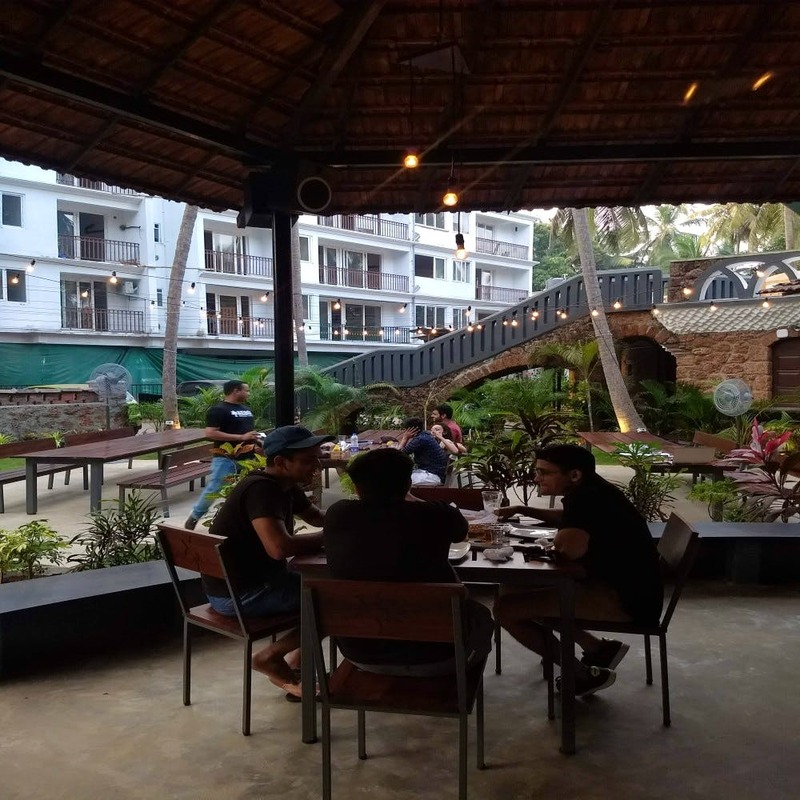 Then, we heard they’d created a full-fledged beer garden (with a cafe and all) and had introduced three local craft beer variants that are exclusive to Goa. With that news, the excitement levels were off the charts. We had to check it out. Rustic ambience, chill music and picnic benches in the garden made us instantly fall in love with Arbor Beer Garden & Eatery. While we soaked in all the happy vibes, we took a minute to thank the universe for this perfect location that didn’t involve a treacherous drive to the touristy parts of Goa — yes, it's in a peaceful village as opposed to a manic beach. To begin our evening, we were offered the sampler with six brews and we chose to get the pint-sized helpings of two of our favourites: Imperial Coffee Stout (OMG, beer, chocolate and coffee, YUM) and Smooth Criminal (Honey Lavender Ale). As you can tell, one of us on the table preferred light and refreshing while the other liked rich and heady. Arbour’s craft brews are also available on tap across some of our favourite restaurants in Goa including Tiera Y Mar, Enfield Garage Cafe, Baba Au Rhum, German Bakery, Uddo Sunset Bar, Go With The Flow, Rudy’s Bar & Grill and lots more. All this so you can pair your favourite wood-fired pizza or grilled prawns with local craft beer. But you know where we’d rather enjoy all this? At the beer garden itself. I mean, come on, they’ve got beer sangria and pork burgers in a garden setting! And don’t worry. They obviously have the older three craft beers from Bengaluru. So, if you’re familiar with those, there’s Beach Shack (IPA), Easy Rider (Wheat Beer) and Smooth Criminal for you to feel at home in Goa. That makes it a total of six craft beers at the cafe, in case you were wondering. Unfortunately, on our last visit, we had no space for food so we had to turn down their amazing pizzas and red velvet pancakes. But hey, feel free to find out sooner yourself. Since they were literally 5-days-old when we went, we were expecting some teething issues but found just one. So, between 6 and 7pm, we were attacked by mosquitoes. At some point though, the coils and essence oils started to work and things got better. We’re promised they’re going to go on a spraying mission to kill the bugs but till then, we’re carrying Odomos. They intend to keep the beer garden open through the year. In yo’ face, monsoons!